Principal Cast : Daniel Day-Lewis, Tommy Lee Jones, Sally Field, David Strathairn, Joseph Gordon-Levitt, Bruce McGill, Hal Holbrook, Lee Pace, Walton Goggins, James Spader, Tim Blake Nelson, John Hawkes, Jackie Earl Haley, Dane DeHaan, Lukas Haas, Colman Domingo, Gloria Reuben, Gulliver McGrath, Elizabeth Marvel, Peter McRobbie, Jared Harris, Joseph Cross. Synopsis: President Lincoln attempts to balance the needs of ending the Civil War, while at the same time trying to push through an amendment to the US Constitution, abolishing slavery. What we think : Master story-teller Spielberg is in top form here, with Lincoln, one of the most iconic American Presidents to have lived, and the story of the Thirteenth Amendment. Daniel Day-Lewis is spellbinding as Lincoln, while the script is perhaps best approached with at least a passing knowledge of American history for the sheer weight of information and flim-flammery it throws up, but it’s the lack of saccharine Spielbergian schmaltz which keeps this film from buckling under its own weight. 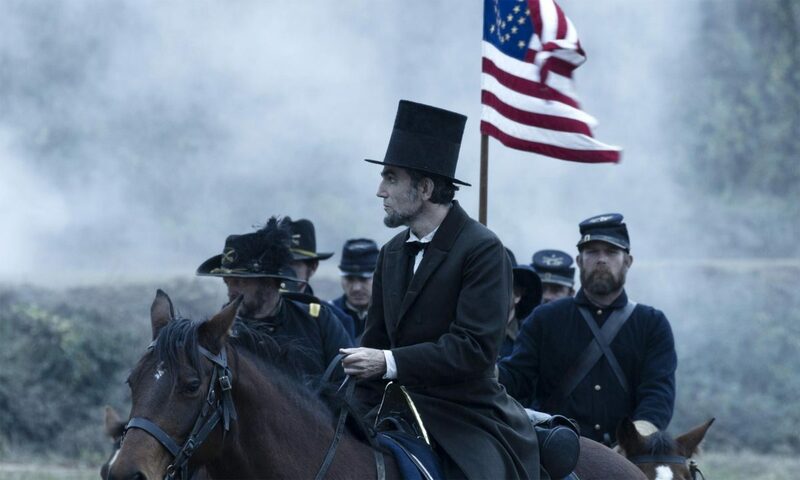 Talky, lovingly rendered, Lincoln is Spielberg at his very best – easily his most accomplished dramatic film in a long while. Astonishingly detailed, filled with a who’s who of Hollywood and boasting a truly epic sense of scale, Lincoln is a worthy contender for the Best Picture Oscar, while Day-Lewis is a virtual lock for Best Actor as the titular character. Wonderful stuff. Four score and several Oscars later…. The American love affair with their founding fathers continues, with the most successful Hollywood director of all time tackling the most iconic US President of all time. Spielberg takes on Abraham Lincoln, in this stunningly mounted bio-pic retelling the two week period prior to the ratification of the Thirteenth Amendment to the US Constitution, the Amendment abolishing slavery. This review offers no examination of either the accuracy of the period, the production or even if the people involved looked the way they do here – my lack of knowledge on American history is not good enough to provide any adequate argument or critique: therefore, I’ll be limiting this review to simply the film itself. Is it a good, great or garbage film? Does Daniel Day-Lewis adequately perform one of the greatest roles in modern cinema, that of President Lincoln, as a human being or as a caricature? Does the all-star cast create more out-of-film experiences than it should, or does the film work with all these quality thespians involved? Settle back for my no-historical-context review of Spielberg’s Lincoln! Now, who’s up for some cosplay? It is January 1865, in the fourth year of the American Civil War, and President Abraham Lincoln (Daniel Day-Lewis) has been re-elected and given a mandate to end the bloodshed. As progress is made towards a peaceful resolution to the war, Lincoln also seeks to introduce a Bill to Congress which would effectively amend the Constitution, abolishing slavery. Congress, however, is divided on this issue, with many on both Republican and Democrat sides favoring retaining slaves – something Lincoln is vehemently opposed. 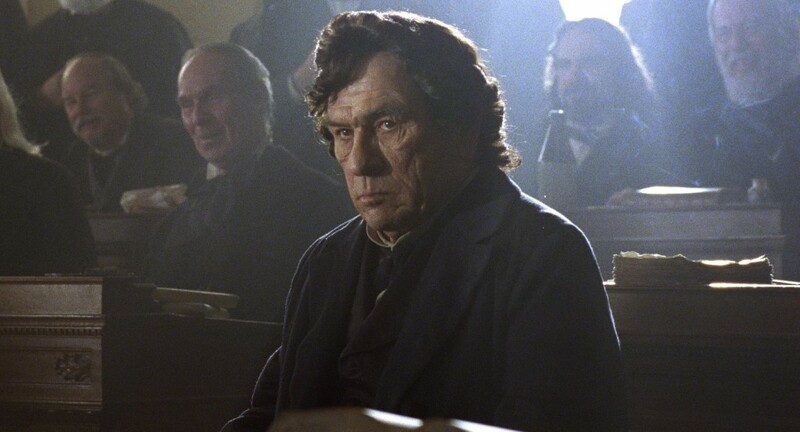 Lincoln’s Secretary of State, William Seward (David Strathairn), aides Lincoln’s decision with tenacity and poise, while Republican party member Thaddeus Stevens (Tommy Lee Jones) is a staunch advocate for the abolition of slavery, although he plays politics enough so that it’s not overt. Lincoln’s wife, Mary (Sally Field) remains saddened by the death of their young son William, in 1962, and fears her older son Robert (Joseph Gordon-Levitt) desires to enlist into the war effort despite her concerns. 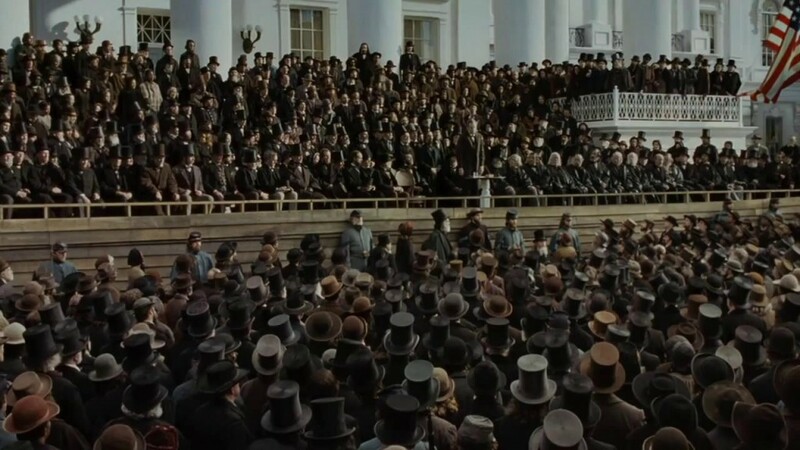 While Lincoln builds support for the Thirteenth Amendment, he is aided in this task by a trio of lobbyists – William Bilbo (James Spader), Richard Schell (Tim Blake Nelson) and Colonel Robert Latham (John Hawkes), who engage with fence-sitting congressmen to gain their vote. Lincoln sends General Ulysses S Grant (Jared Harris) to the Hampton Roads Congress – seeking peace – to meet with Confederate Vice President Alexander Stephens (Jackie Earle Haley), although this peaceful negotiation is backed up by the blockade and bombardment of the key Confederate port of Richmond, Virginia. Don’t look now, but there’s someone beeeehiiiiiind you! From a purely cinematic perspective, Lincoln appears to be Spielberg’s JFK – this film is packed with minutia and detail that I doubt I got all of it on my single viewing. Indeed, I have a sneaking suspicion I’m going to have to watch this film a few more times, with Wikipedia in hand, to get it all right in my head. Lincoln isn’t a film one can watch casually, it’s a film which activates your brain and makes you think about things – Spielberg doesn’t dumb this down for us, thankfully, which is the true mark of a great filmmaker. He’s happy to make us work to enjoy this film, if indeed the term “work” can be used in the ideology of film, and I applaud his reticence to join the dots for us. Lincoln’s narrative depth is only transcended by the performance of the key cast – Daniel Day-Lewis, Sally Field, David Strathairn and Tommy Lee Jones are sublime in their respective roles, each one bringing a gravitas-layered, soaring portrayal of the real-life people involved with this important legislation. Of all the cast, however, it is obviously Day-Lewis who holds this film together, in a towering portrayal (literally and figuratively) of the 16th President of the United States. In a few moments, I won’t care if you’re black, white or purple with poka-dots. I’m gonna lay the smackdown on yoU!! 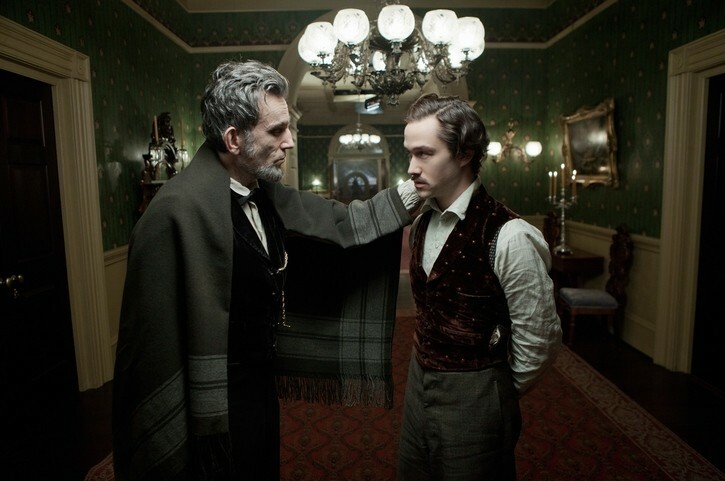 Daniel Day-Lewis is Lincoln, body and soul. While there’s nobody left alive who knew him personally, nor is there any archival footage of the man in existence, but I’m thinking that Day-Lewis has done his research and “method” to make his portrayal as accurate and convincing as possible. Lincoln’s towering frame (in real life Lincoln wan nearly 2 meters tall) imposes itself over the rest of the film, with the President often hunched and shuffling his body to seem more forlorn and thoughtful than I’d have expected. Day-Lewis has a charisma as Lincoln, though, which even now brings a smile to my face. Several scenes of Lincoln recounting stories of his past – stories which are typically anecdotal to whatever situation has arisen – are wistfully humorous or laconically pertinent, allowing the actor to really bring a meatiness, a solidified nuance, to his essaying of Honest Abe. It’s these moments, not so much the Lincoln-The-Politician ones, where the film really hits its stride. Something I noted while watching, was the fact that this role is one of the less potent of Daniel Day-Lewis’s career, a role which is less intense than his evil Bill Cutting (Gangs Of New York), less driven than There Will Be Blood’s Daniel Plainview, and a lot less contorted than either Christy Brown’s My Left Foot or wronged than Gerry Conlon from In The Name Of The Father. This is Day-Lewis at his least searing; Lincoln offers a more subtle, more introspective portrayal of a man trying to change the destiny of a country, not seeking power or fame or money (of which Lincoln has enough anyway). While perhaps not as apocalyptic a performance as we’ve seen him from him in a long while, Day-Lewis once more forces us to consider that he is possibly (one of) the greatest actor of his – and our – generation. If he doesn’t walk away with the Oscar for this, I’ll go heave. Hand up all those who badly need to go to the bathroom. Especially you guys down here in front. Day-Lewis is ably supported by a Hollywood Dream Team of acting talent, notably Sally Field as Lincoln’s wife Mary, and David Strathairn as Secretary of State Seward. Sally Field provides the heart and soul of Lincoln’s framework – the man’s passion for politics and for his family are in equal amounts, although I tend to think he favors the former over the latter when it comes to brass tacks. Field is achingly magnificent as the fractured, bereaved Mary, beseeching her son not to go to war, and her husband to end it. David Strathairn is straight-laced as Seward, offering a direct, intense portrayal of one of Lincoln’s best friends and political allies. Strathairn isn’t an actor I usually find to be strong enough a performer to provide realism in this kind of thing, although this role suits his performance style to the ground. The third asset to this film is Tommy Lee Jones, as Stevens; Jones is on fire here, whereas normally I find he cruises through films like he’s bored of his own career (have you seen Men In Black 3? ); Stevens offers him a chance to flex his acting muscles, and flexes them he does – Day-Lewis aside, I’d be happy to see Jones snag the Best Supporting Actor Oscar for his work here, it’s so good. The rest of the casting is typically Spielbergian for breadth and “spot the celebrity”. 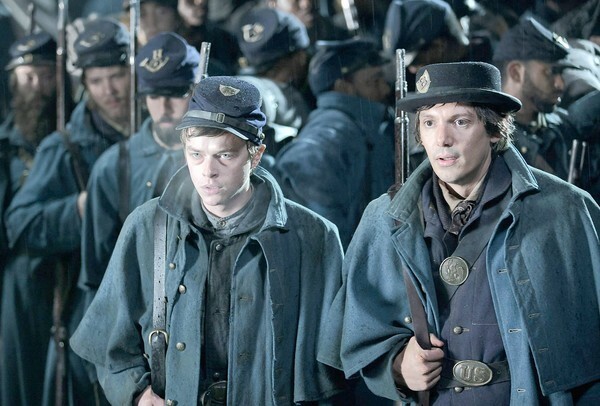 Chronicle star Dane DeHaan cameos as a white Union soldier in the film’s opening, with Lukas Haas standing right next to him. Hal Holbrook is wonderful as a political friend of Lincoln’s, who tries to broker a peace between the Union and Confederacy; while James Spader is a scream as a lobbyist sent by Lincoln to get votes. Spader nails the role. Limited in space to breathe character-wise, but still vital to the story is Joseph Gordon-Levitt’s performance as Robert, the older Lincoln son. JoGo has little time to get his character across, but what he does, he does well. I’m glad Spielberg cast him in this part, because I think he suits it well – I just wish he’d been in the film more than he was. As far as casting goes, the entire film doesn’t put a foot wrong in both look and ability. You’d think there’s cheering at the Capitol? It’s hard to fault a film as earnest as Lincoln tries to be. There’s an obvious love for the subject that Spielberg and his screenwriter, Tony Kushner, have, and it’s really easy to see up on the screen. Lincoln never feels brief, nor does it really pause to take a breath in amongst the political posturing and maneuvering. What this film does is really humanize Abraham, almost exactly the opposite to what recent action flick Abraham Lincoln: Vampire Hunter did. To his credit, Spielberg keeps this film direct and to the point, seemingly free of extra backstory that might otherwise bog down the narrative, and considering how densely packed with information this narrative might be, that’s saying a lot. The script does tend to feel a little preachy towards the end, and I felt that, overall, the conclusion of the story lacked the import Spielberg was obviously reaching for; on the whole, though, the meticulously designed, superbly staged, and elegantly framed film feels more like a documentary than a fictionalized account. John Williams’ score is evocative, powerful but never overbearing – a rare thing from him these days, if you ask me – and just occasionally heroic. I think this one of Williams’ better scores in his recent output. Spielberg’s DOP de jour is again Janusz Kaminski, who uses the same technique he had for AI: Artificial Intelligence to create a moody, atmospheric (and occasionally depressing) visual style for the picture, one which parallels the mood of the nation in the grip of civil war. Lincoln’s a beautiful film to watch, even if the content isn’t your normal cup of tea. Son, I’m only wearing this blanket to embarrass you. And the White House has lousy central heating. Lincoln might not be the greatest film ever made, and one should not try and compare it to some of Spielberg’s true cinematic classics of old, because such a comparison would invite inevitable maturity dialogue, but it is certainly one of the best films of 2012. The story is compelling (mainly because it’s true!) and the acting, production and direction are all first rate. There’s a lugubriousness towards the end that does bring the film’s final (expected) ending down on a somewhat sour note, but the central themes and narrative scrupulousness are at times spellbinding, and always captivating. This is – and I’m quoting one of the comments of my readers here – “cinematic literature” of the highest order. You’d be a fool to miss this one. Tossin’ It Out There: What’s YOUR Favorite Biopic? Good review Rod. The cast is great, but it's DDL who takes this movie away with a cackle and easy expression that lets him know he's already going to have that Oscar come next week. I can't argue with it, either. The guy's always a powerhouse. Thanks, Dan!! 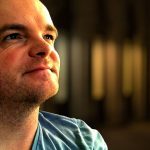 I agree – can DDL do no wrong? It would appear not!!! The film does move at the pace of a dead history book, but it's so worth it just to see DDL in action again. Can't wait to hear your thoughts once you DO see it, my friend!! !